Depending on where you live, you might be smoking reggie weed on an everyday basis and not even know it. In the black market, reggie weed is everywhere. It’s so predominant in some places that you might have smoked anything else in your professional weed-smoking career. 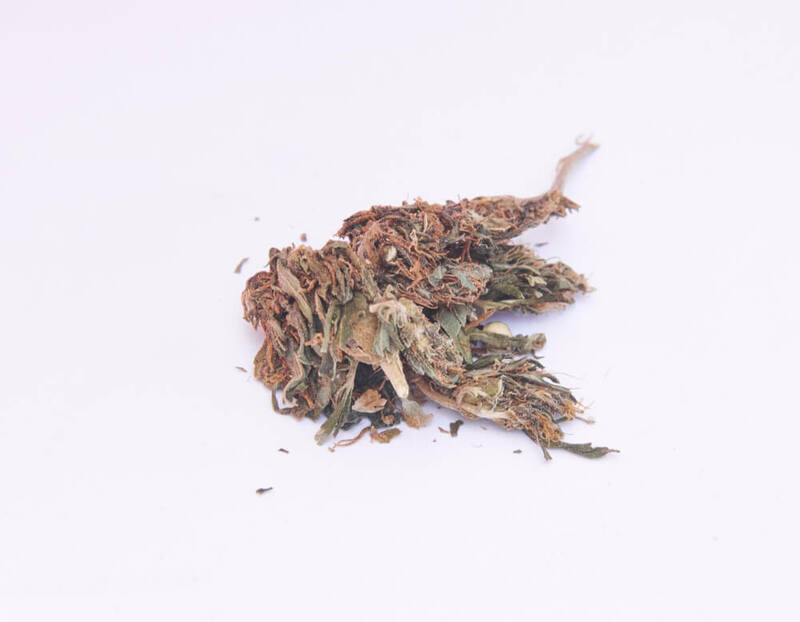 If you’ve got a baggie in front of you and suspect foul play in your business transaction, here is the low down on reggie weed. Essentially, reggie weed means regular weed. Its low quality, low potency, and is nothing to write home about. If you are lucky enough to live in Canada, or a legal state like Oregon, reggie weed isn’t a problem. But, if you live in a regional backwater, with no access to a dispensary or high-quality product, it might be all you can get. Reggie weed wasn’t even an issue until the average quality of cannabis started to improve with legalization. With cultivators growing out in the open, they could throw time and money at improving overall quality. No more hiding their operations in their basement. Growing in the open, with access to improved technology and strict testing means an overall much better product. Reggie weed originally was often also brick weed. 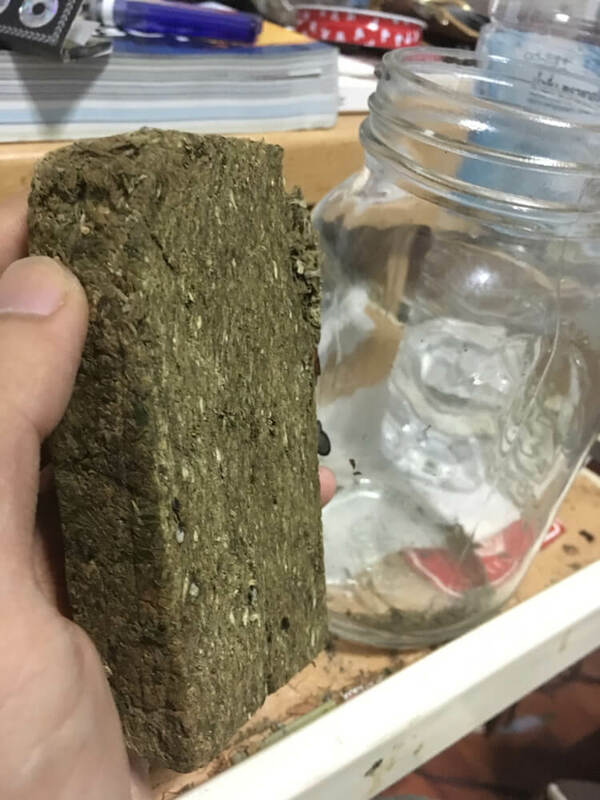 Brick weed, for the uninitiated, is a low-grade product, condensed into a vacuum sealed brick of marijuana. Picture the bricks of weed shown on televisions programs like Narcos. You get the picture. Its packaged for high volume, discrete product shipping. It’s not beautiful, and the packaging does nothing for preserving the quality of the product. But, brick weed is super dry, super lightweight, and easy to pack. Hence, why some black market growers still rely on it. What Does Reggie Weed Taste Like? If you’ve never tasted anything else, you’ll probably think reggie weed tastes, well, just like weed. However, if you are more accustomed to a higher grade product, the taste is one of the easiest ways to tell you’ve got a handful of bad product. Reggie weed tastes off. It tastes like a nug you’ve dug out from under the couch. Like it’s been sitting around for weeks, months even. It likely will have a mild musty flavor profile, and you won’t be able to taste any of the delicious nuanced terpenes. Blueberry? Pineapple? Pine? Definitely, more like basement carpet, rotting compost, and mildew. Some reggie weed has been stored improperly for so long that you won’t get any flavors at all, even bad ones. Instead of tasting the plant, you’ll only taste smoke. Considering the alternative, this isn’t necessarily a bad thing, but it’s still not what you paid for. The best parts of weed is its subtle flavor profiles thanks to the hundreds of aromatic essential oils. 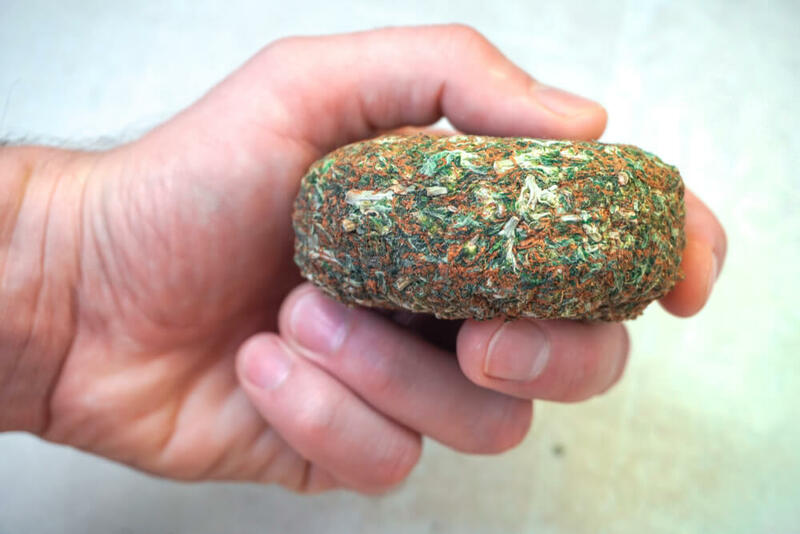 What Does Reggie Weed Look Like? 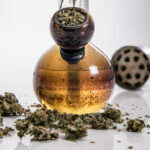 In a side by side comparison with top-shelf marijuana, the differences are apparent. Good quality cannabis is bright and beautiful. While every strain will have slight variations, the flowers should look like a natural rainbow. Deep purple leaves and bright red hairs. Or golden crystals, and a forest of different shades of green. The most important characteristics are the various greens. Cannabis should be green, even if it has other colors layered into it. Reggie weed, on the other hand, is going to look old. Faded browns and off-putting yellows. If it’s green at all, it’s not going to be bright — Swampy, murky colors with no exciting reds, purples, or yellows. Other parts will stand out as well in a side by side comparison. Reggie weed was very likely improperly handled, by someone who didn’t care about preserving the delicate trichomes. The red and golden hairs, which make a nug so beautiful, will have long fallen off. 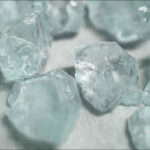 You will also notice there are few if any visible crystals remaining. A premium flower should be coated in snowy resin. Finally, reggie weed comes from lower quality strains of cannabis. Picture a field of weed, grown by amateurs, in subpar conditions. These plants are typically scraggly and the flowers quite loose. No more tightly packed nugs, these look like they grew in a ditch in the jungle. You might also find your baggie of grass has a few extras, like the seeds, stems and fan leaves. How Potent is Reggie Weed? Let’s be honest, reggie weed has few if any redeeming qualities. It is anything but potent. We can attribute today’s high potency strains to the attention and care of well-established cultivators. People pumping out low-quality reggie weed, packed in bricks, don’t care about producing potency. Today, you can get often get certain strains with upwards of 30 percent THC, but you’ll be sadly disappointed if you find yourself in possession of a nug of reggie instead. You’ll have to smoke quite a bit more low-quality nug to get the same experience. In today’s world, there is a move to produce strains of weed with low THC for a more nuanced high. There are also strains with low THC for therapeutic purposes. But don’t get confused with the low potency of regular cannabis. 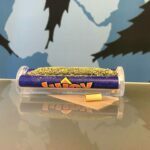 If was grown from a poor genetic stalk, packaged improperly and stored long past its prime, reggie weed low in all cannabinoids, even the less psychoactive ones. Cannabinoids, including THC, CBD and more, have an expiry date. Especially if they haven’t been well cured or packed, the cannabinoid and terpene content is going to go down quickly. 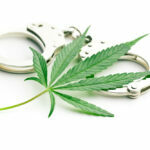 There are much better options in the legal market if you are looking for a low-potency strain. Why Shouldn’t You Smoke Reggie Weed? Not only can you enjoy the experience better, but reggie weed may also expose you to some pretty nasty substances. Consider that reggie weed usually appears only in the black market. The black market is filled with untested, or worse yet, failed products. You heard that right, some experts believe that products which fail the mandated lab testing gets merely sold off on the black market. There are no statistics to back this up, but clearly, people growing and selling reggie strains don’t care about quality. If the crop was infested by mildew, or if it was sprayed with harsh pesticides, they probably don’t care. If you smoke these toxins, they travel to the sensitive tissues in your lungs and can cause severe health issues in the future. Do yourself a favor and stay away from reggie weed. If you suspect you’ve accidentally bought some, just throw it out. Your lungs and future self will thank you. How Can You Tell if You’re Smoking Reggie Weed? Color – Look for bright, vibrant, and fresh pops of color. Nug Details – A top shelf buds should have a light dusting of crystal, and little red-hued hairs poking out from in between the leaves. Smell – Does it smell like stale hay, or does it smell like skunk and rich pine forests? Taste – All cannabis should taste clean, with nuanced laid flavors making their way to your palette. If it tastes stale or rotten, best toss it out.